Help "Unleash the Gospel" in Detroit so all the faithful can learn more deeply about God’s action in Detroit. 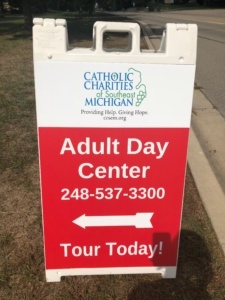 Volunteers are needed to spread the word at parishes throughout the Archdiocese. 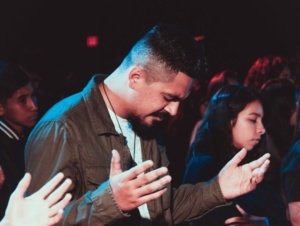 Go to the following website for more information on how to become joyful disciples and ignite a movement! Evangelization will be the topic of the next Christian Service Coordinators Association Meeting at Sacred Heart Seminary on November 14. 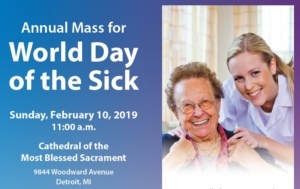 Join Archbishop Allen H. Vigneron as he celebrates Mass for the sick, their loved ones, caregivers and healthcare professionals. 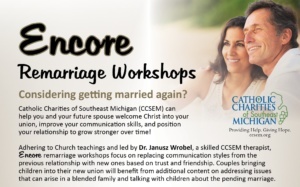 Mark your calendars for February 13 at Sacred Heart Seminary in Detroit. 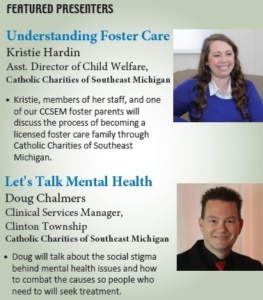 Come learn more about the Foster Care and Mental Health Counseling services offered by Catholic Charities of Southeast Michigan (CCSEM). CCSEM Adult Day Health Services will be represented at the Troy Expo on March 19 at the Troy Community Center. 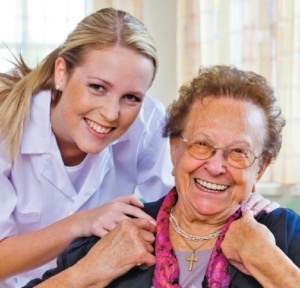 Find out more about how we can help you care for your loved one. Come enjoy pancakes, french toast and other tasty breakfast fare, all for a good cause! 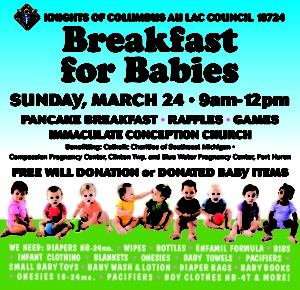 The Knights of Columbus Au Lac Council 10724 is hosting a Breakfast for Babies event at Immaculate Conception Parish in Ira Township. Manresa Jesuit Retreat House, 1390 Quarton Rd. 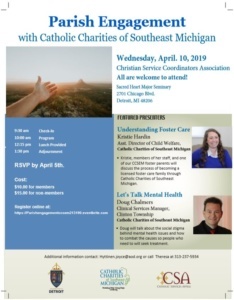 Save the date for our upcoming retreat for Parish Nurses. More information to come soon!